Stephen Weaver is an award winning photographer with over 40 years experience making images of the natural world. Formally educated as a geologist, Steve combines his scientific knowledge with his photographic abilities to produce stunning images that illustrate the beauty of the structure and composition of the earth and its natural systems. Stephen grew up in Pennsylvania and from an early age developed a passion for nature and the outdoors. As an undergraduate geology student he first visited the Rocky Mountains where he fell in love with the mountain environment and the wide-open grand landscapes of the West. Steve currently photographs throughout North America with a major emphasis on mountain and desert environments. He has also has discovered the beauty of the prairie and is currently working on a project photographing the short and tall grass prairie in the western plains states. For many years Stephen used large format 4x5 view camera with transparency film for making many of his landscape image. Currently he uses Nikon Digital SLRs to capture his images. 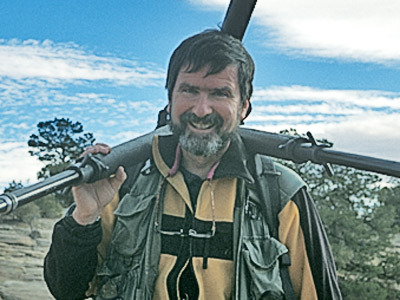 Stephen is a charter member of NANPA (The North American Nature Photography Association) and a member of the IEPA (The International Environment Photographers Association). Stephen is also a member of the League of Landscape Photographers, a group of ethically responsible photographers from around the world.